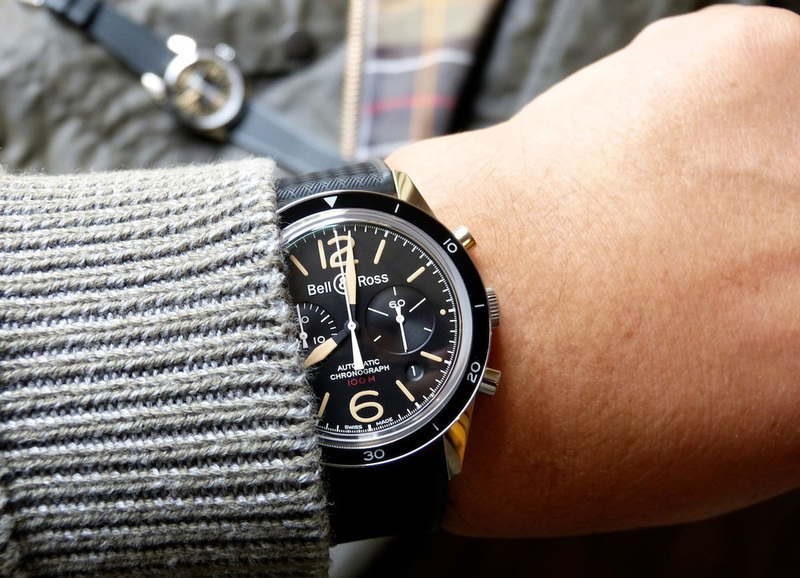 Bell & Ross is a French company which is well-known for making square or circular style pilot’s watches. They are powered by ETA movements and are usually PVD coated black to give a pseudo-stealth appearance that reflects the cockpit of either a modern or older plane. 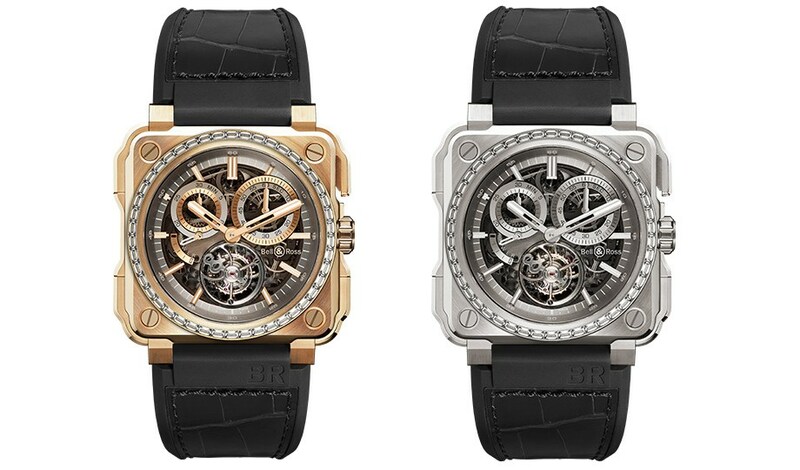 Then again, you knew that anyway, but what do you think of them now that they have a tourbillon, model? 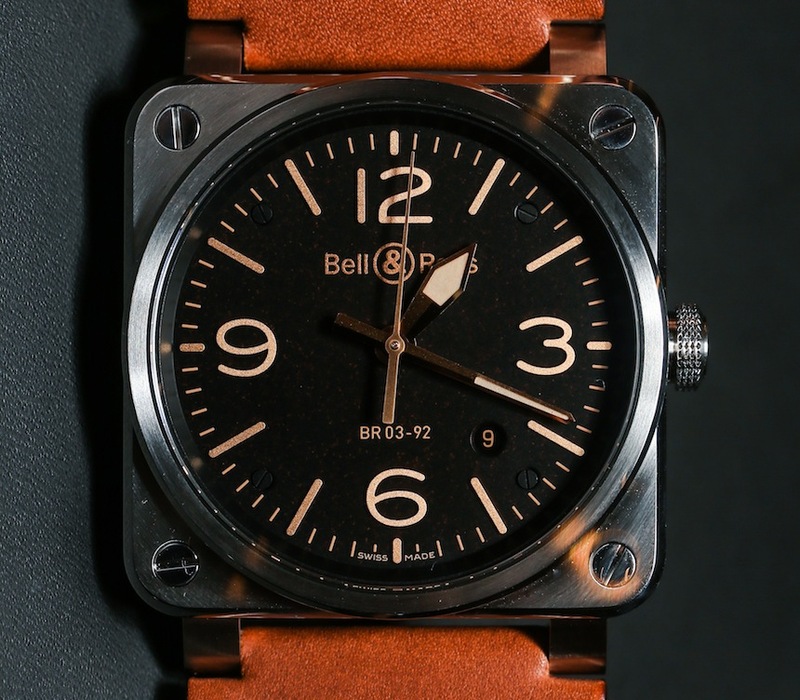 Bell & Ross has taken a more industrial design than normal, as I have mentioned, their pieces usually are very much pilot focused watches and, therefore, use a lot of black and white contrast. 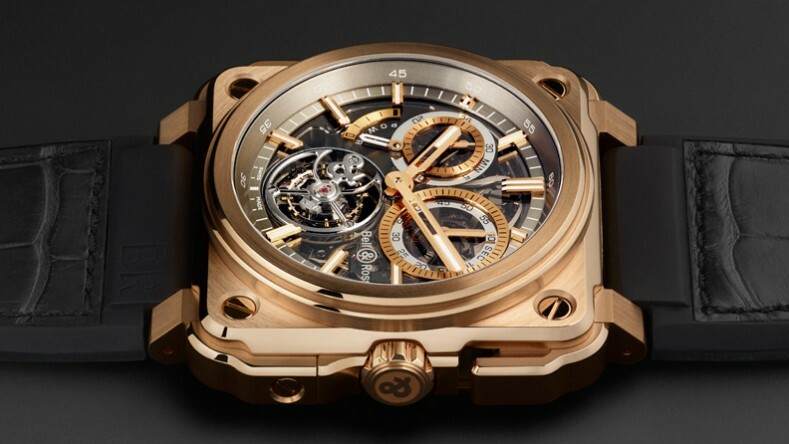 However, it appears that the designer of this watch took particular inspiration from both the exterior and the interior of the Cité des Science et de L’industrie, the largest science museum in Europe. The building itself, for those who don’t know, has a lot of exposed building materials, the enormous glass roof reminds one of a Victorian train station, artful and industrial. 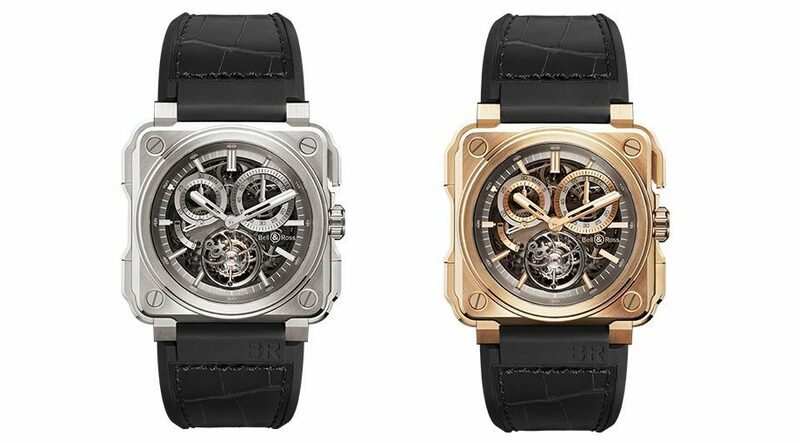 The skeleton dial on this watch is pretty similar, artful and industrial. The case is pretty similar in influence as well, certain aspects have been beefed up, particularly around the edges of the case. 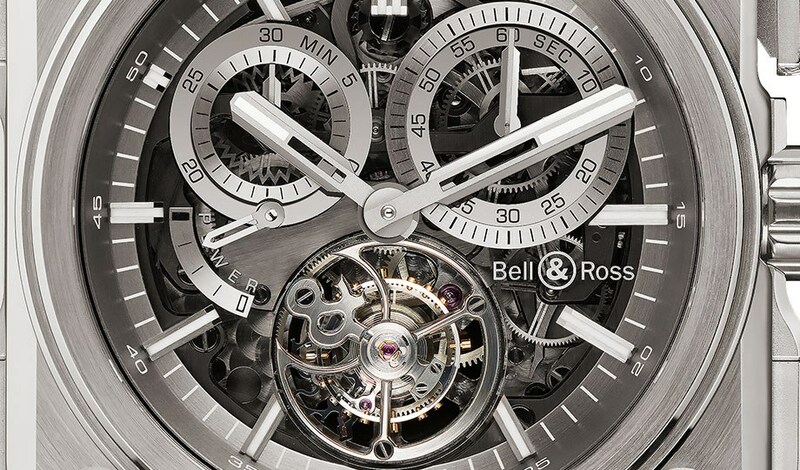 At 6 O’clock on the dial is the tourbillon which has been given a little bit of decoration in the form of the ‘&’ symbol from the Bell & Ross logo. It’s not much, but it is still a nice little touch that reminds the wearer their watch is extra special with the slow rotation of the ‘&’ symbol. 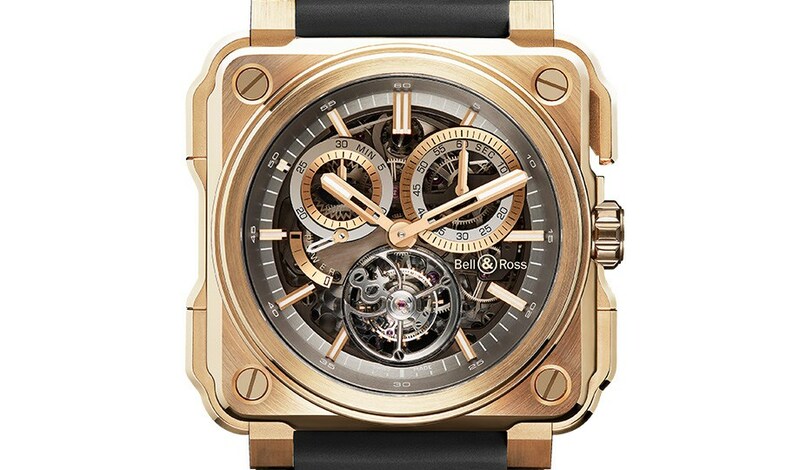 This watch not only has a tourbillon, but it also has a monopusher chronograph mechanism in it which is operated by a very discreet pusher, so discreet in fact that based on just the pictures I’m looking at, I can’t actually find it. At least there’s some playful mystery to the watch. 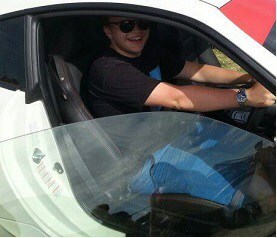 The two indicators for the chronograph system are at 10 O’clock and 2 O’clock. At 9 O’clock is the power reserve indicator, the reserve in this watch is a pretty incredible 4 days. This watch is available in 4 models, but before that you should know that this watch is 45mm across, so it’s pretty much on par in size with the BR-1 watch which I wrote a hands-on article about, you can read it by clicking here. 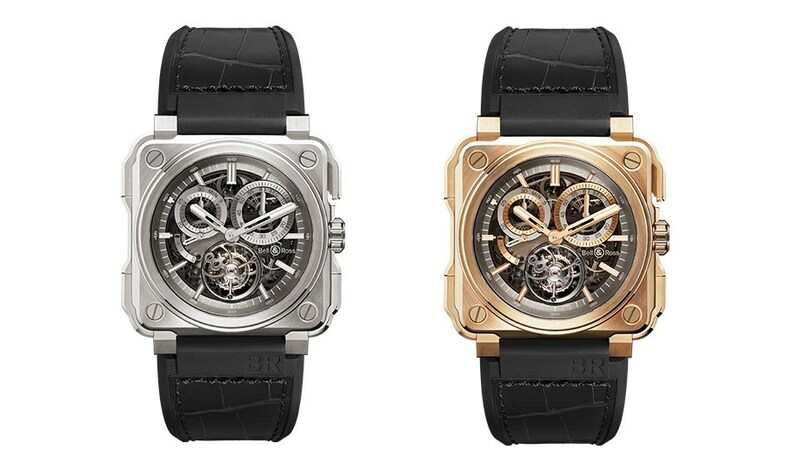 The movement in the watch is hand wound through the crown, the movement is the same in all four versions. The watch is available in either titanium or 18K rose gold, and each version is available with baguette diamonds on the bezel.